St. John Catholic Middle School offers a learning environment that motivates personal excellence. These are done through small class sizes that enhance the learning experience and prepare students to meet high expectations. The academics themselves meet and exceed Georgia performance standards. Along with in-class teaching, throughout the year students will have off-campus learning experiences. ​The curriculum in the middle school offers a weekly, year-long engagement in visual arts, foreign language, band, and computer science. Also, humanities classes are taught to promote cross-curricular learning of language, literature, religion, geography, and history. The goal is to provide an education that applies to modern times. This includes 21st-century science, math, and arts curriculum that infuses student-centered STEAM applications. 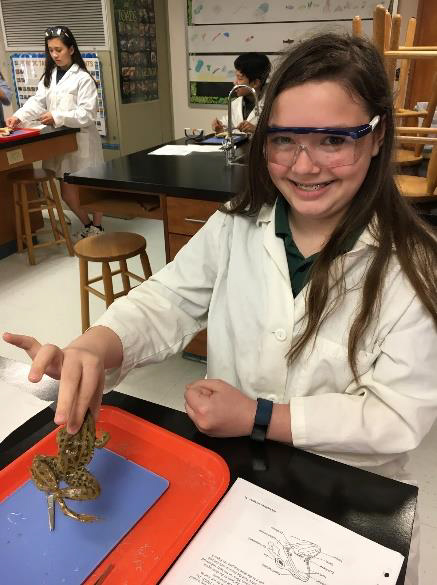 St. John Catholic Middle School prides itself in the achievements of the students who are attending as well as attended the school.